I am writing the most inane paper. My "Nursing as a Profession" course is exactly what it sounds: a class that studies why the career is a profession rather than simply a job. We read long chapters about the history and legalities of nursing, and compose over-researched essays on pretentious topics. Right now I have to write a two page, APA-perfect paper about a professional organization. 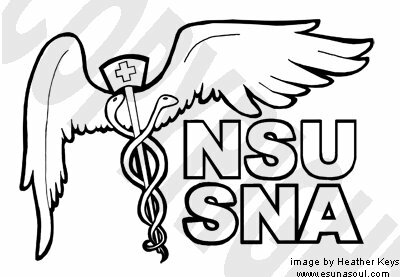 I've chosen to do mine on the National Student Nurses' Association (NSNA) because I'm already a member. Usually when writing people complain about having to spread a little information out over several pages, right? Oh no; this one is a burden because I don't know how I'll ever fit all the criteria into so little space. 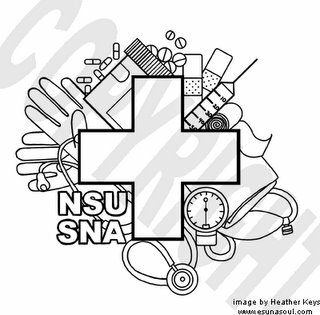 I loathe this assignment far more than my "Definition of Nursing" paper from a few weeks ago. Despite having many resources, I feel like I haven't made any progress all day. Hence this blog entry. I love to take a break. I think they turned out quite well, don't you? Sorry about the watermarks. After I'm done with the paper, I have to study for a test on Monday. It's in Health Assessment, one of my B classes. Being the grade-obsessor I am, I'm certain I'll end up barricading myself in the room with my books until midnight. (Emerging perhaps only for Starbucks?) I can't wait until Monday as over, since after that I'll have nothing major left to do before Thanksgiving break. There IS a Thursday test in Foundations, but that class is always a breeze. Then, I can't wait to climb in the car and head up to Memphis for family, food, and fun. Thanksgiving is wonderful. I love to take a break. Your designs are great. I personally like the second one best. I guess i am just a sucker for snakes and wings. :-P Anyway, good luck with your papers and enjoy your break, I know I will. 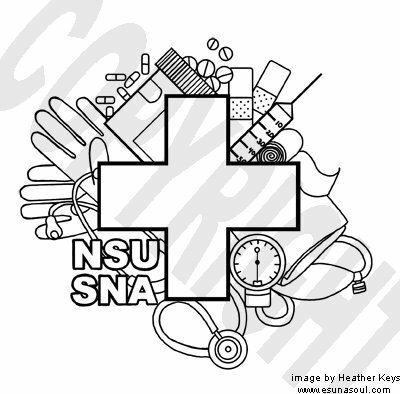 Actually, it was the extreme LACK of sites that made me draw these for the shirts; nurses can't seem to design anything fashionable besides scrubs.So no, I can't really recommend anything. Sorry! your designs are nice, but I need your help. 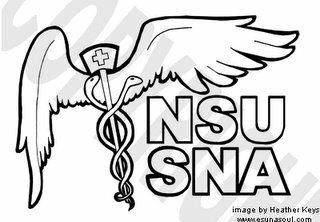 I read your blog and you mentioned you read alot of articles on nursing legalities and I would like to know where you got your info. I'm a student as well and I had to leave school 1 hr. early and my punishment is to write a parer on nurse legalities. I've used several search engines and I can't find any "legal" documentation on the subject. Please help my 1pg. paper is due tommorow. Wow, You should be done with school by now.